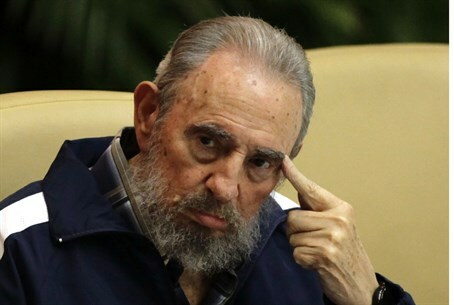 Former Cuban leader claims U.S. Senator McCain collaborated with the Mossad to create the Islamic State terrorist group. Former Cuban leader Fidel Castro claimed on Monday that the Israeli intelligence agency Mossad was behind the Islamic State (IS) terrorist group, AFP reports. Castro’s claims were made in a column published in Cuban media in which he lashed out at the United States and Europe and accused them of war-mongering. He also compared the NATO military alliance's representatives to the Nazi SS. Castro also attacked U.S. Senator John McCain over United States policy in the Middle East, calling him "Israel's most unconditional ally." He singled out McCain, the 2008 Republican presidential candidate, saying he had supported Israel's Mossad intelligence agency and "participated together with that service in the creation of the Islamic State, which today controls a considerable and vital portion of Iraq and reportedly one-third of Syria as well." He accused the West of "cynicism" and said the trait had become "a symbol of imperialist policy," according to AFP. Turning to NATO, Castro said the alliance's representatives were reminiscent of Nazi Germany's feared SS. "Many people are astonished when they hear the statements made by some European spokesmen for NATO when they speak with the style and face of the Nazi SS," he charged. "Adolf Hitler's greed-based empire went down in history with no more glory than the encouragement provided to NATO's aggressive and bourgeois governments, which makes them the laughing stock of Europe and the world," added Castro. Last month, Castro compared Israel's military operation in Gaza to a "disgusting form of fascism". He later signed an international manifesto "supporting Palestine" and demanding that Israel respect UN resolutions and withdraw from "Gaza, the West Bank and East Jerusalem." Several other famous anti-Israel activists, including Bolivian President Evo Morales, Argentine artist and Nobel Peace Prize winner Adolfo Perez Esquivel, Cuban dancer Alicia Alonso and American writer Alice Walker, were also among the signatories.